WHERE WILL YOUR NEXT APPLICATION BE? Build, deploy and operate distributed clouds for edge computing anywhere, at any scale, on any network. IoT and Edge Computing do not play by traditional rules… With CPLANE, deploy distributed clouds optimized for Edge applications – when and where you need them. Remove the guesswork and errors from delivering complex cloud topologies spread across multiple locations, technologies and vendors. Seamlessly integrate distributed resources and applications with software-defined networking to create sophisticated service chains. Reliably deliver cloud infrastructure at the right time, in the right form, at the right location – whether it’s 1 large cloud or 10,000 micro-sites. Edge Computing is introducing new levels of complexity to the IT landscape. Traditional approaches and tools simply can’t scale to the task. And adding more people is not the answer. CPLANE.ai CEO, Brandon Williams discusses how using a multi-domain controller approach simplifies deployment of Edge Computing and IoT solutions by breaking them down into component domains such as Application Life-Cycle Management, Networking, Compute/Device, and Virtualization. Edge Computing and IoT are enabling the next wave of customer solutions. CPLANE.ai CEO Brandon Williams and Momenta Partners Strategy Partner Jim Fletcher discuss how Edge Clouds will be the fuel of the next economic engine. The CPLANE.ai resource center has all the important information you are looking for, from our premium white papers to solutions briefs, case studies, and more. Get more information on the latest news and upcoming industry events that we will be attending and paying attention to this year. 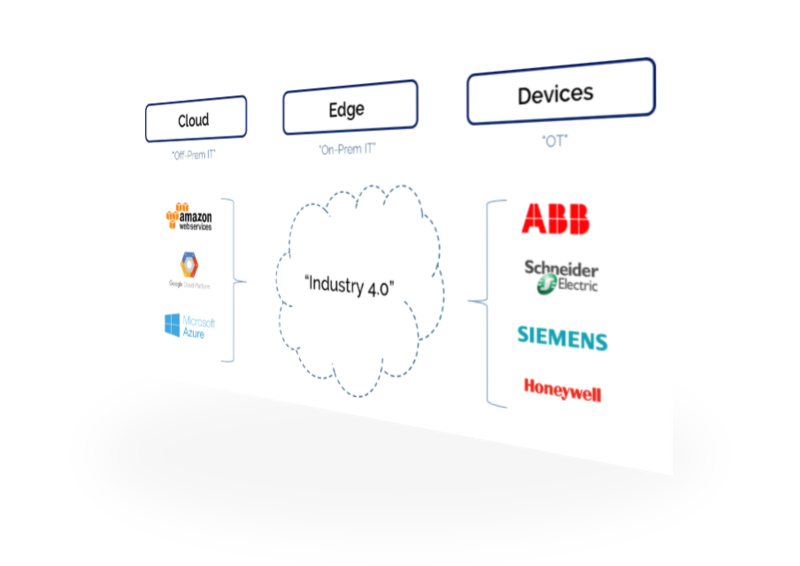 Edge Computing and IoT are dynamic, constantly changing in response to markets, customers and technologies. Building for the edge takes a new approach. Download CPLANE’s “Opening Up the Edge” white paper to learn how an open platform strategy can accelerate your digital transformation journey. Markets are different. So are customers. Your Edge Cloud orchestration platform should deliver a wide variety of solutions. Quickly deploy on‐demand resources at any point along the supply chain to enable connected operations. Quickly deploy on-demand resources at any point along the supply chain to enable connected operations. IIoT holds great potential for real-time customization, quality control, sustainable and green practices, and supply chain traceability and efficiency. Edge Clouds deliver resources and connectivity that make integrating complex systems faster and easier with more visibility and improved analytics. Put secure clouds at thousands of end points to eliminate unnecessary network traffic and security exposures. Video capturing and processing for crowd-sourced video services for marketing and advertising, missing person location, public safety and fraud detection demand new levels of local, real-time processing – but also present a massive security attack surface. Edge Clouds enable rapid deployment and management of elastic resources that can be quickly upgraded to reduce vulnerabilities. Create agile clouds that flex with the ebb and flow of mobile platforms – and the massive amounts of data they create. Autonomous cars, pedestrian detection/safety and geo-location services are creating new demands for “hand-offs” between cell towers and access points. Edge Clouds provide an agile, flexible platform that can create, move and expand resources to respond to the fluid nature of mobile services. Tune the experience to the person with cloud resources that can be tailored for the moment. No two people are the same. The same holds true for their experiences – and their expectations. Edge Clouds can be tailored to create environments that are defined by the individual, but easily integrated with other systems to deliver a full service life cycle. Industrials of all shapes and form (discrete, continuous, batch) are faced with aging systems that impede their digital transformation strategies. Watch Brandon as Williams, CEO of CPLANE.ai and Peter Martin, Vice President of Business Innovation and Marketing at Schneider Electric, discuss how open systems are enabling not only new levels of efficiency in industrial processes, but more importantly, improving profitability.